A classic shaped lunch tote with the latest trend in design, the Greek key pattern. Thermal insulated for hot and cold lunches with outside open front pocket. Hot pink, gray and white design. Easy clean micro-fiber exterior. 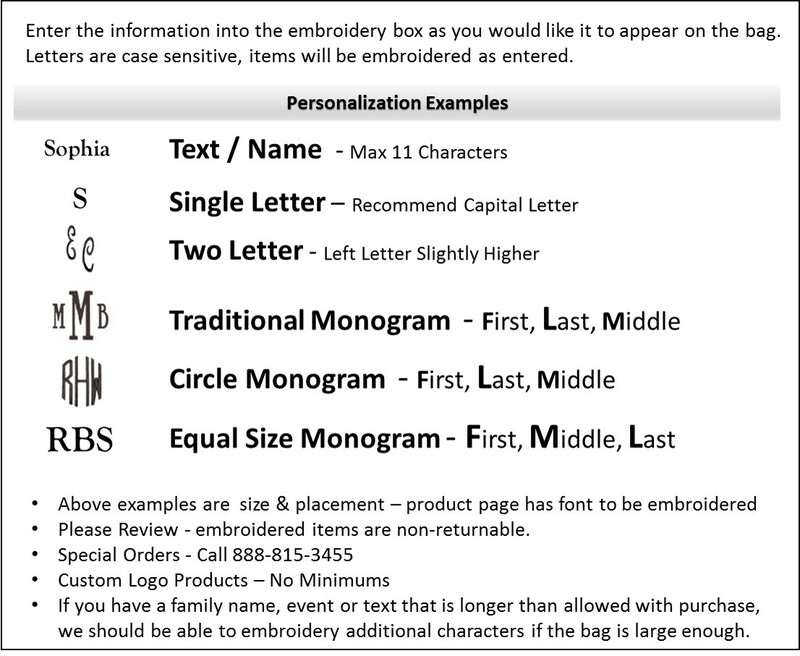 Add personalization with name or initials for a complete look. 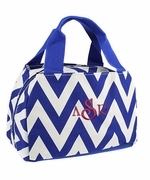 Greek key lunch tote measures 11 height x 9" wide five inch wide bottom and zipper closure. This lunch box looks just how I wanted it to. I ordered red thread on the navy pattern and it looks perfect.